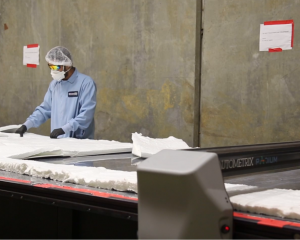 This article was written by Will Jones, a Thermaxx Jackets insulation expert. 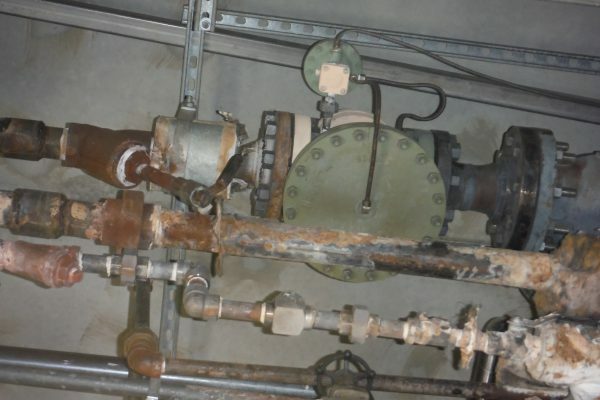 A hot boiler room creates many problems. 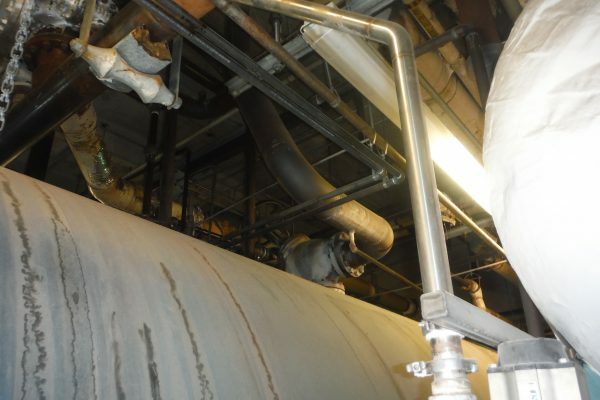 Typically, the ceiling of a boiler room is the bottom of the floor directly above and because heat rises the ceiling area is hot, extremely hot. Many times, we see temperatures exceeding 115°F! The floor above the boiler room radiates heat into the occupied space causing an unanticipated load on the cooling system. The space is so uncomfortable that windows are opened in the winter time wasting more heat. Best way to cool down a hot boiler room? 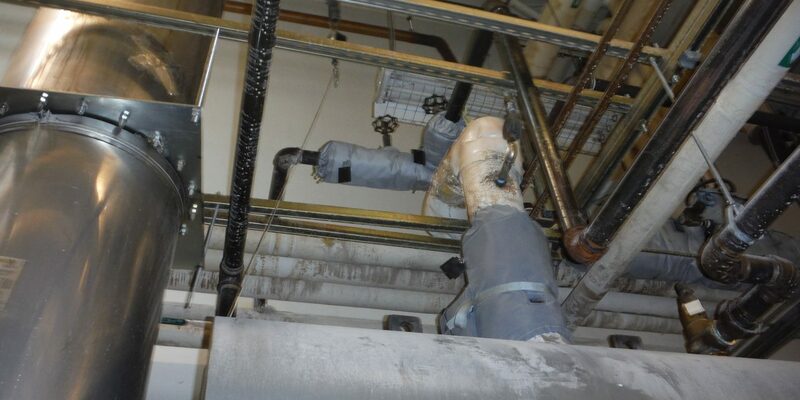 One solution: introduce a duct system at the ceiling level of the boiler room and use a powerful fan to pull the heat to the outside of the building. At the same time, install a louver system that will allow combustion air and makeup air into the now cooler space. This sounds like a simple solution, and it probably is. The problem is that now we have exponentially increased our energy dollar waste! The incoming air temperature is cooler, which causes it to pick up as much heat as possible before it is finally exhausted outside. The valves, tanks, boiler front/rear, and uninsulated piping are now losing even more valuable BTU’s than before. If the cost of a therm of natural gas was $0.12, then losing this much heat isn’t a big deal. However, today the cost of a therm of natural gas is usually around the $0.45 to $0.98, so the above solution is not recommended. We need to stop the heat loss! 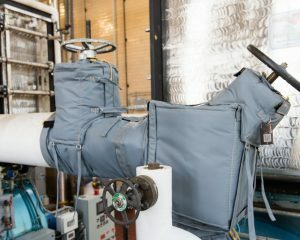 Removable insulation must be applied to bare piping and valves. 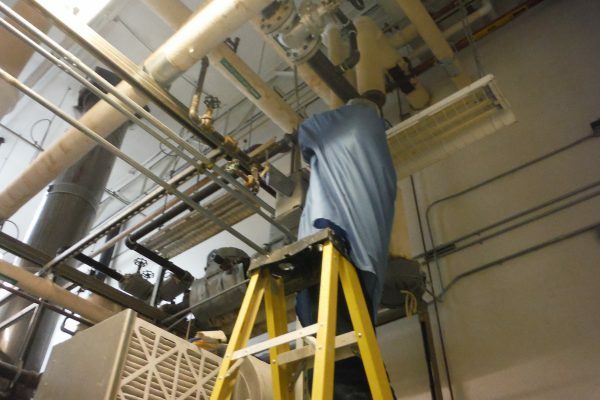 Any other component losing energy must have removable insulation blankets or jackets installed as well. To do that, we need to identify the components that are the biggest contributors to that loss. The non-return valve (right), just off the boiler, is usually a great place to start looking! Follow the piping off the non-return valve and see if there are more gate valves prior to the line tying into the boiler header. The boiler header (below) is usually a huge energy loser. 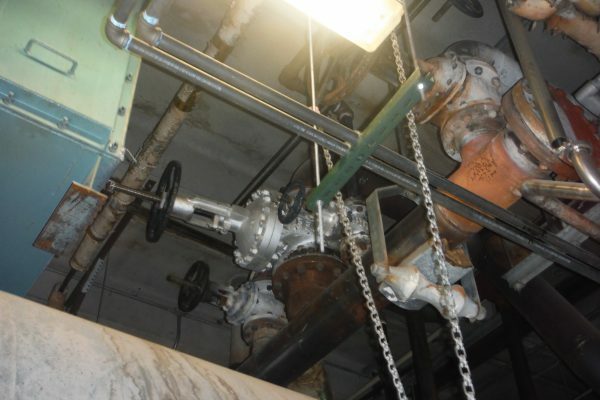 The pipe is large (10”, 12”, 14” or larger) and the header usually spans all the way across the boiler room. It also has the boiler lines going into it and all the building mains going out of it. 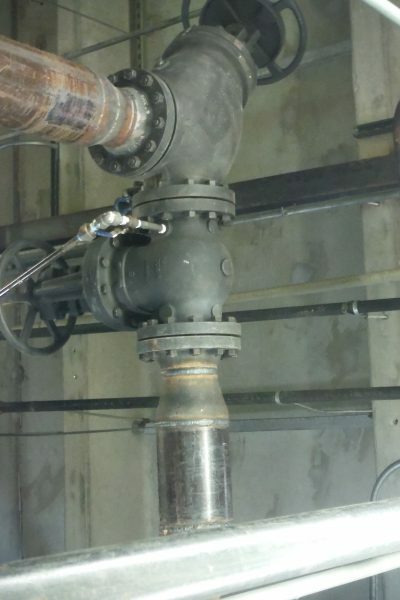 Each line will have a flanged gate valve, which is another major energy waster. 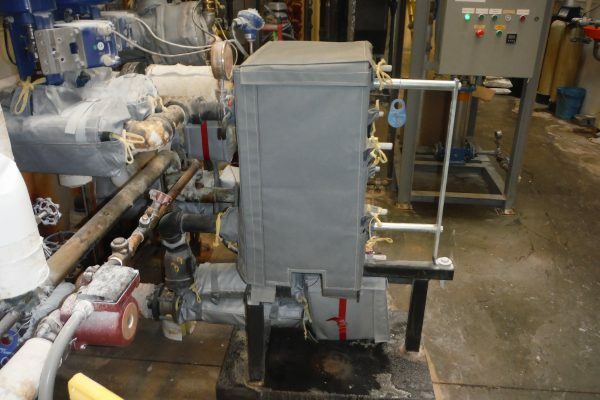 The lines from the boiler to the header, the header, and subsequent building mains typically lose thousands of dollars in wasted heat energy every year, year after year after year! They are your first priority. Now that we have the boiler mains, header and subsequent piping identified, we next move to things such as: water heating tanks, P-K or Aerco type water heaters, pressure reducing stations, condensate tanks, deaerator tanks, steam traps, boiler front face/rear, and possibly many other components. the extremely important ROI (Return on Investment). Usually Thermaxx Jackets can reduce the heat loss by 90% to 96% depending on several factors! If an incentive is available in your area for your insulation upgrade, the Thermaxx Jackets team will pursue it. The Thermaxx team works closely with major gas companies and representatives of gas companies, and is well versed in acquiring incentive dollars. 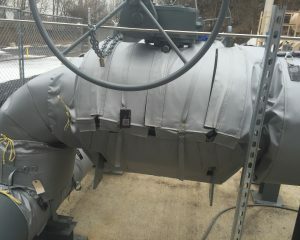 Don’t wait, contact Thermaxx Jackets and get us in your boiler room to start saving money! 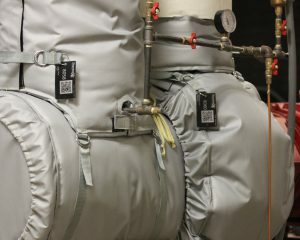 Once the boiler room is insulated, you can begin to insulate all the mechanical rooms and really cut energy costs while drastically lowering your carbon footprint through the reduction of Greenhouse gasses! This entry was posted in Energy Savings, Insulation. Bookmark the permalink.